We weren’t looking to eat any crepes the day that we visited Shimokitazawa, as we knew we’d be eating plenty of crepes in Harajuku just a few days later. 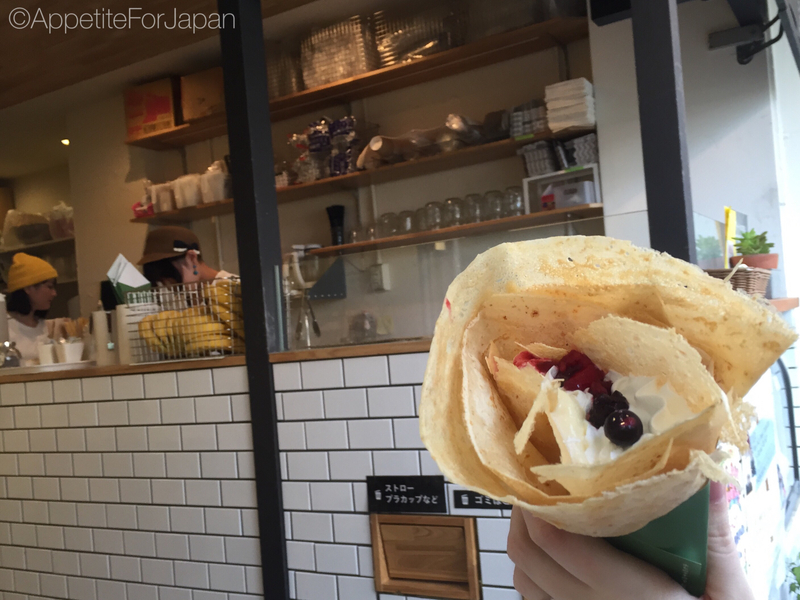 In fact, we weren’t planning to eat anything in Shimokitazawa, but we found ourselves feeling peckish and, being pretty big fans of Japanese crepes, we decided to stop and share one. We had no idea that we were about to share the most delicious crepe we’d ever eaten. 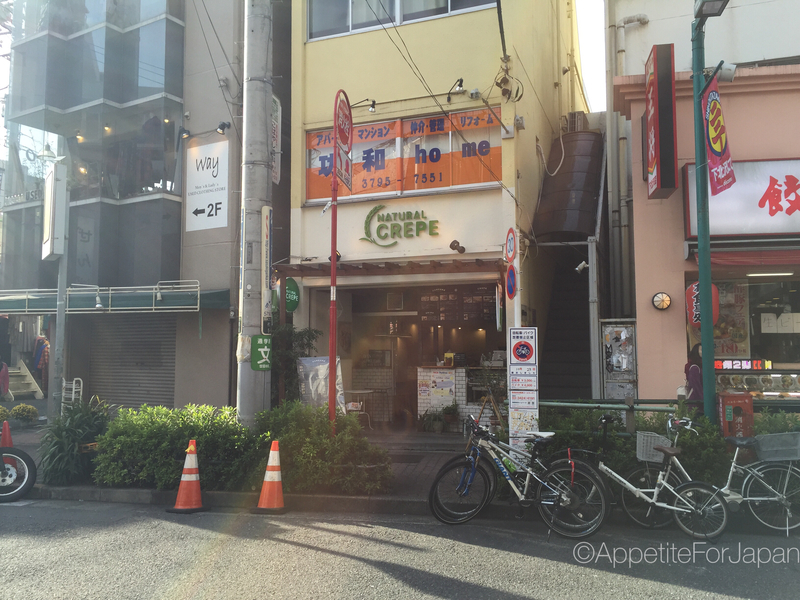 Compared to many of Tokyo’s crepe places, the Natural Crepe shop is unassuming. The storefront is neither covered in bright colours nor lights like the many crepe shops in nearby Harajuku. There are no displays full of fake crepes, and the menu is significantly smaller. However, I would say that Natural Crepe is all about quality over quantity. As you might expect from a crepe shop in a suburb of hippies and hipsters, Natural Crepe is all about organic ingredients and avoiding additives and preservatives. I can’t comment too much on this aspect as I’m no nutritionist, but they claim to make healthier crepes. All I know is that they taste amazing. The crepe batter was light and delicious and the whipped cream was freshly made. They also sell fresh juice, smoothies, and pancakes. There are a few small tables so that you sit down and enjoy your food there. 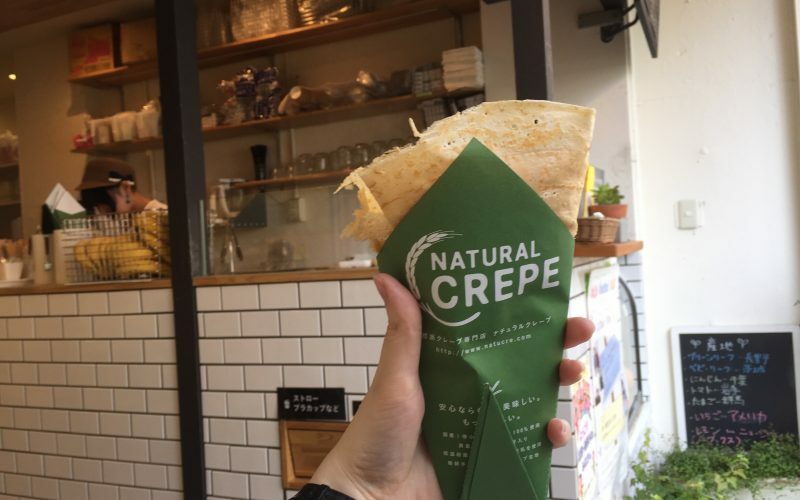 Natural Crepe is a small chain with just three stores: Shimokitazawa which opened in April 2015, Kyodo and Ginza. Their prices are similar to what you would expect from most Japanese crepe shops at around 500 Yen each. We had a berry crepe with cream and custard which cost 460 Yen. Would I recommend Natural Crepe? Definitely. It’s on our itinerary for our next trip to Japan, and we buying one crepe each this time, rather than sharing. We often share a crepe, so you know it’s a good crepe when we need a whole one each! 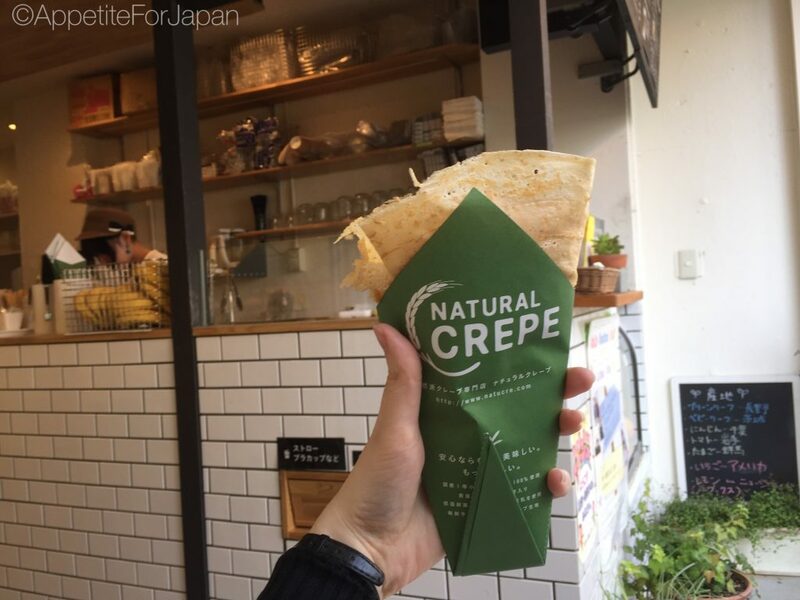 This is a big call, but Natural Crepe is hands down my favourite crepe place in Japan. Admittedly I can’t remember exactly which streets we took to make our way to Natural Crepe. 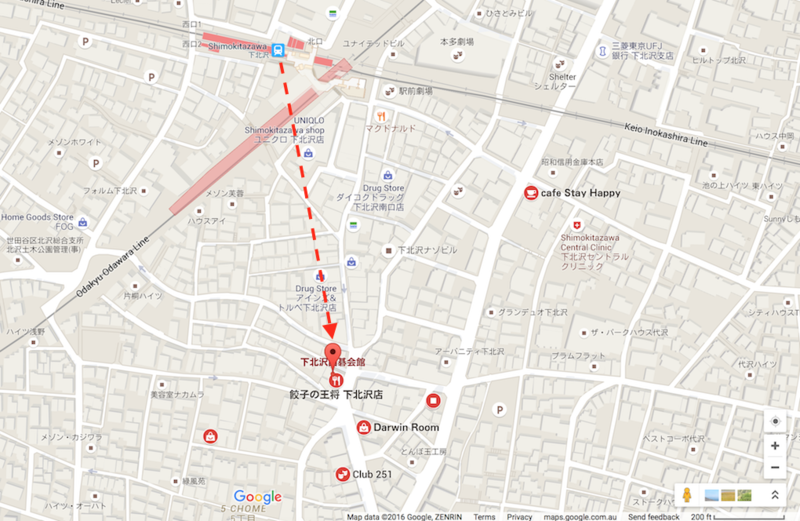 We walked down one of the main streets in Shimokitazawa after exiting the station. I’ve taken a screenshot of a map (thanks to Google Maps) and added arrow to give you the general idea of how to get there from the station. During my next trip, I will make a note of how to get there and update this accordingly! Next up, I’ll be giving an account of what I like to call ‘The Great Crepe-Off’ – the day my partner and I ate way too many crepes in search of Harajuku’s best Japanese crepe!